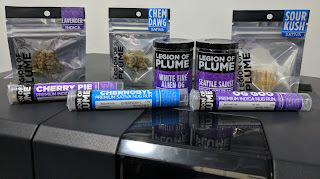 While traveling in Seattle, I had the opportunity to meet two of our customers in the cannabis market: Green Rush Cannabis and Georgetown Cannabis. 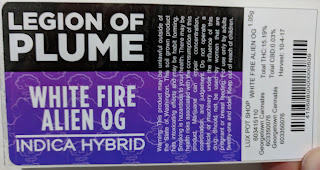 Green Rush Cannabis, http://catchtherush.com/, is a WA i502 producer-processor located in the scenic Snohomish Valley. They produce a clean, sophisticated crop that has become a preferred brand for a number of top shops in Washington state known for their consistent terpene flavor, high quality, and deep impact. GreenRush Cannabis is a recommend brand by expert budtenders. 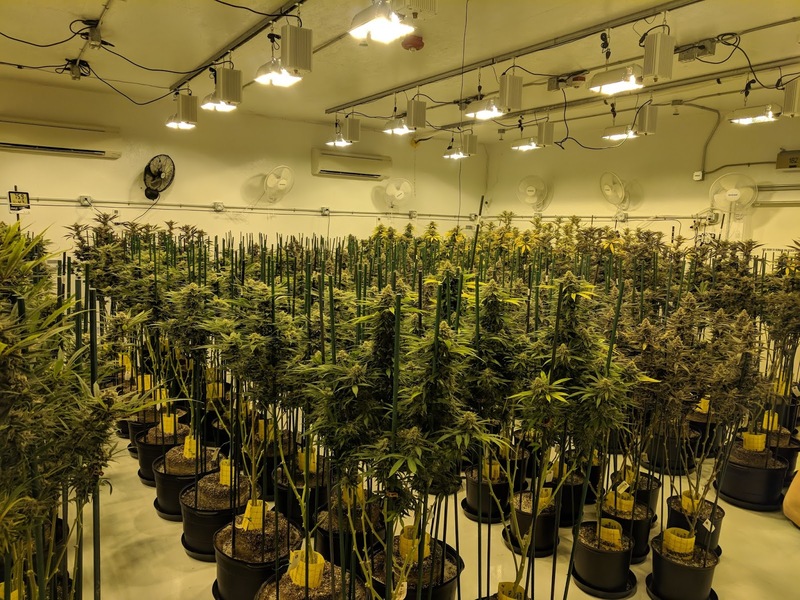 Personally, I found Green Rush’s growing rooms, very clean and professional. 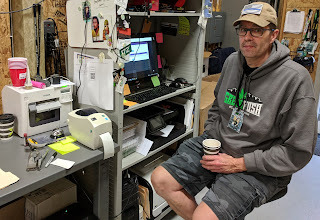 Mark Flanders, owner of Green Rush Cannabis, and I first met at Cannacon Seattle in February 2017. At the time, Mark was looking for a means to print labels for their products with their logo, text and variable data. 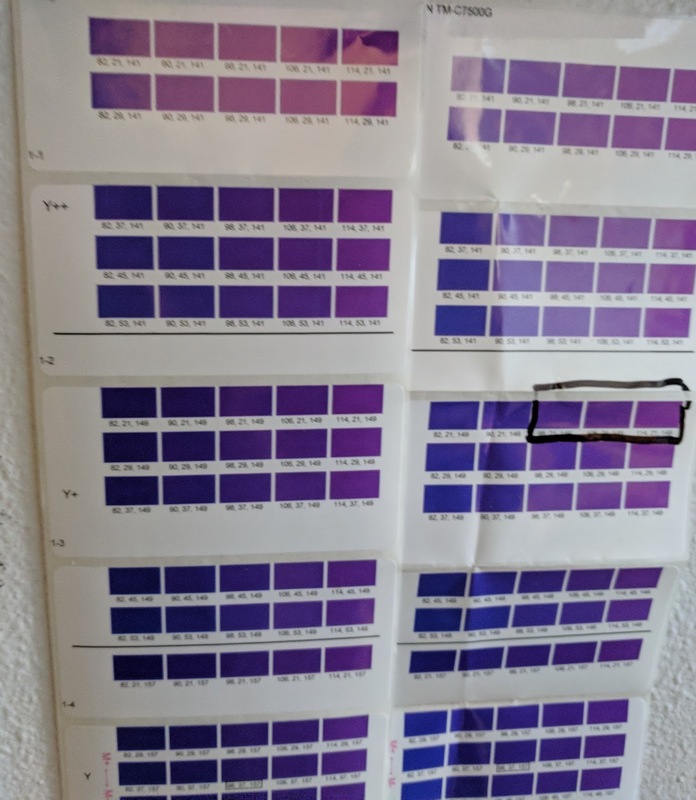 Initially, Mark was looking for 4x2” and 3x2” matte or gloss paper labels produced on an affordable color label printer. Based on these requirements, I recommended the C3500 printer. After initially testing the paper, we found the labels “flagged” and came off the joint tubes. This flagging is not a result of the adhesive, rather the memory in the paper. Based on these results, we switched to matte poly labels that have less memory and work better on the tubes. 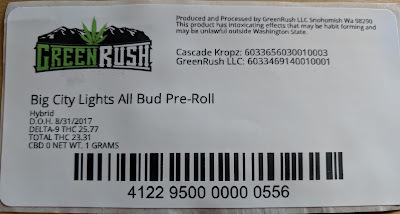 In our discussions, I learned that Green Rush uses Grow Flow, https://getgrowflow.com/, traceability and sales system. According to Mark, “to produce our labels, we requested GrowFlow to design our label templates. Inside GrowFlow, the variable data is pulled and sent to a format that is produced as a PDF. This system works great for us”. The Green Rush label artwork is perfect for the C3500. It’s a basic white label with a logo, text, barcode and variable data. For this application, the C3500 works great. And the integration with GrowFlow is a great addition, adding value to their customers. Based on their success, Green Rush is expanding. Mark says, “We’re setting up another location, to cultivate as well extract.” Based on my experience, I can see why Green Rush is a success. 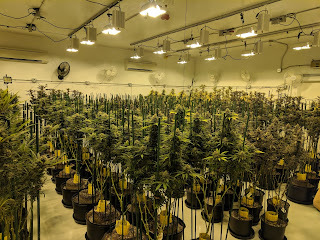 Georgetown Cannabis Company, http://georgetowncannabisco.com/, experienced team is passionate about the cultivation of their naturally grown cannabis. They trim their buds to ensure quality and bag appeal. Georgetown cultivates cannabis as natural as possible, and staying away from pesticides with the use of beneficial insects. 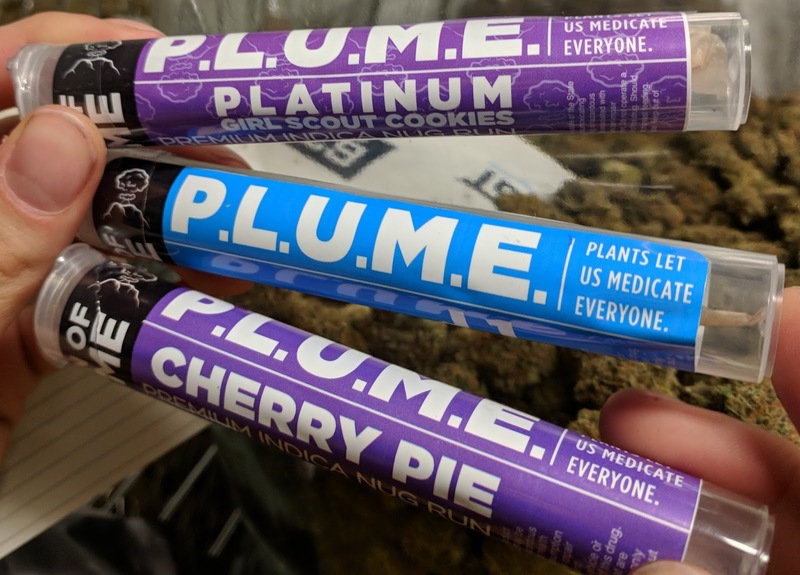 Though innovative growing methods and their no shortcut approach, Georgetown strives to bring their brand, “Legion of Plume” of high quality, cannabis to their customers. I met Mark Brown, CEO, of Georgetown Cannabis originally via one of our partners. Initially, Mark was looking not only for a label printer, but a label applicator as well. 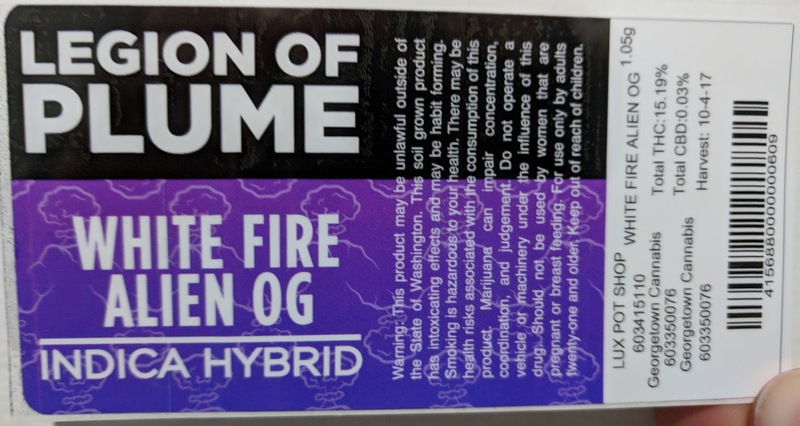 Mark and his team, especially, Kendall Brown, were requiring a high resolution printer for labels for their “Legion of Plume” branded products. Based on their label printing requirements, Georgetown purchased a C7500G printer and matte poly labels. I recommended matte poly given Georgetown’s production of a lot of prerolls, labeling their joint tubes. After getting some gloss poly labels to test, Kendall decided to switch away from matte. “We really like the way the colors look on the gloss poly”, says Kendall. 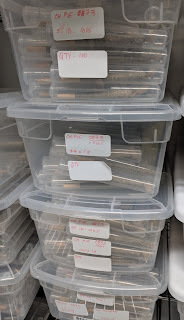 Continuing, “We have found the gloss poly labels don’t flag, adhering to the tubes well”. With a background in design, I really like how Kendall has produced the labels for Georgetown, maximizing the print output from the C7500G. 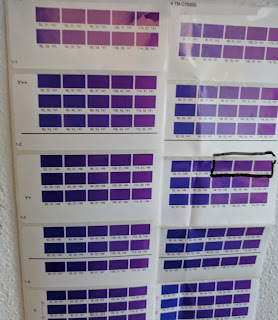 She is using the Epson ColorTone Matching assistant to help her chose the best color range for labels for Georgetown’s new hybrids. And I think these labels designed by Kendall and produced on the C7500G look great! And Georgetown’s business is growing. According to Mark, “we’re growing, adding new dispensary customers all the time. The branding and labeling of our premium products is helping our sale team grow our business”. 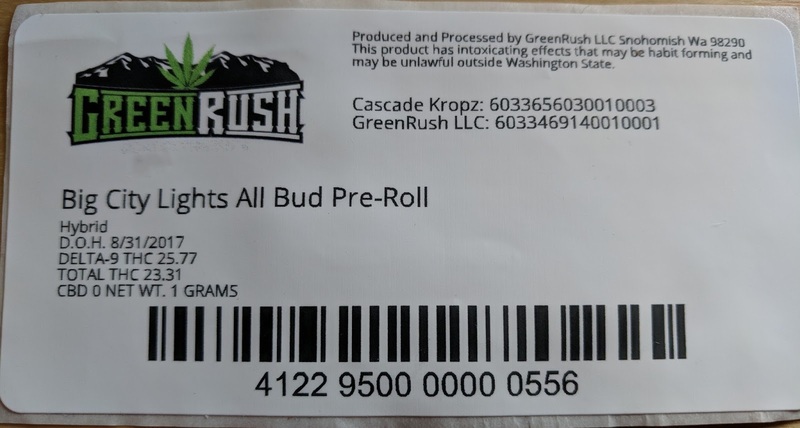 Green Rush Cannabis and Georgetown Cannabis are approaching their labeling differently; but both are successful in the marketing, branding and labeling of their products. If you need help to insure your labels represent and promote your brand successfully, contact us. 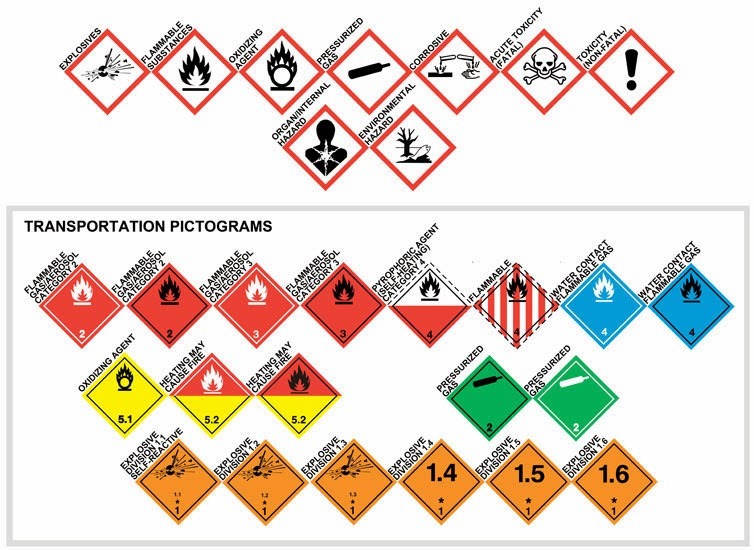 We’ll help you find the best solution for your print on-demand color label requirements. Nice Informative Blog having nice sharing.. what are the effects of cannabidiol?